The kids’ science experiment just exploded in the kitchen, the dog tracked mud and slobber through the entryway and into the living room, and you’re pretty sure that gust of wind just knocked over all of your potted plants. 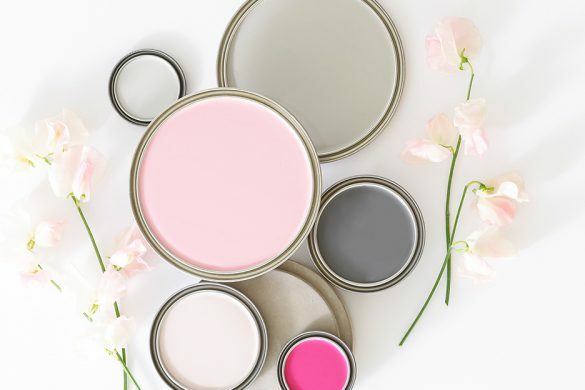 Let’s face it: life is messy, and your décor should be up to the challenge. That’s why we’re big advocates for the durable, washable, always-dependable indoor/outdoor rug. 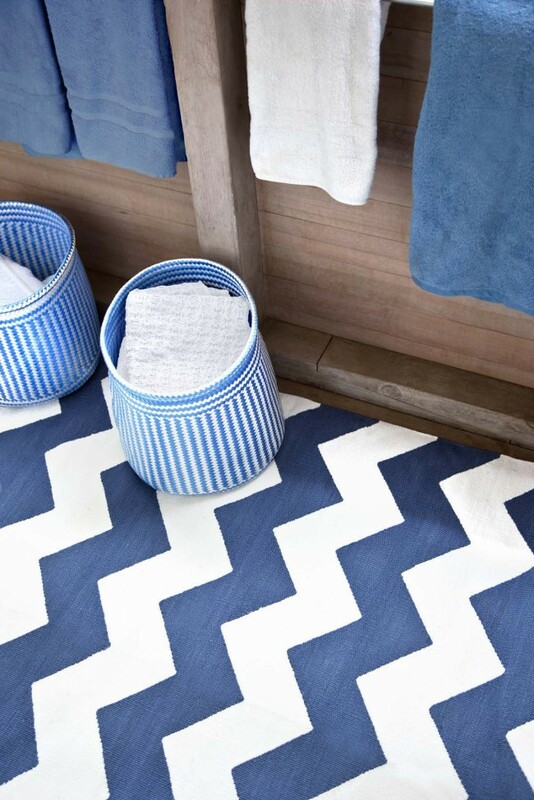 Indoor/outdoor rugs can be used in any room of the house: porch, bedroom, kitchen, stairs—you name it! 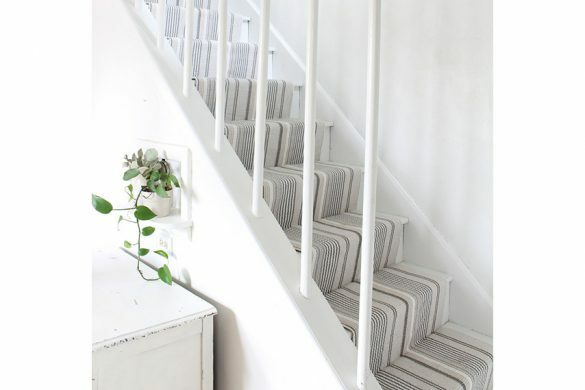 But, as we learned with cotton rugs and wool rugs in the first two parts of this series on which rug weave is right for your room, the weave can make all the difference in choosing where to place your long-lasting investment. 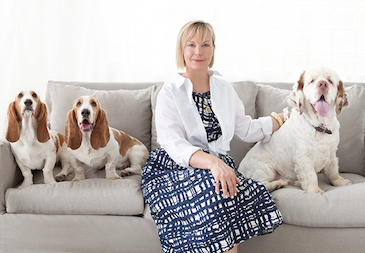 Today Annie’s giving you the gritty details that make indoor/outdoor rugs the biggest bang-for-your-buck rug out there. 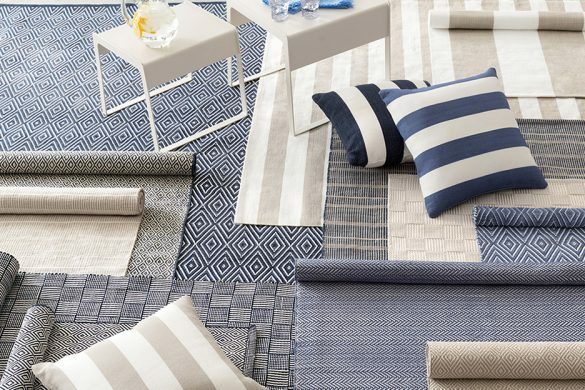 We’ve said it before and we’ll say it again: a woven indoor/outdoor rug is truly a rug for all seasons. 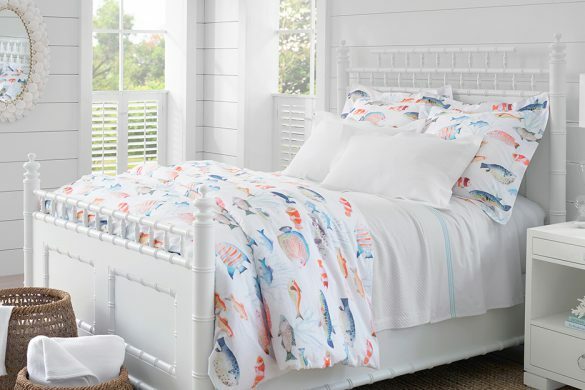 Made of nearly indestructible, UV-treated polypropylene, it’s terrific for high-traffic areas; kids’ rooms; muddy messes such as sunrooms, decks, and porches; and any floor that gets wet—like the bathroom, the kitchen, or the basement. 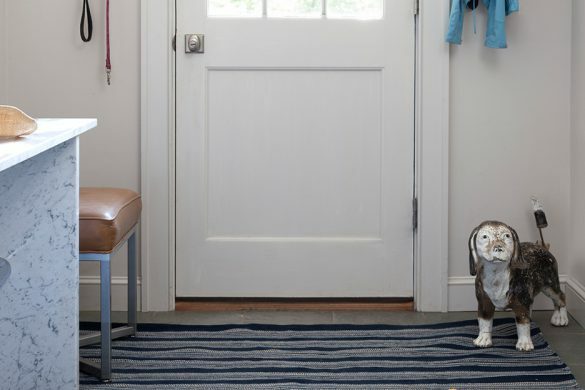 And, if you haven’t already figured it out by the smiling, furry faces in this post, indoor/outdoor rugs are ideal for homes with pets. 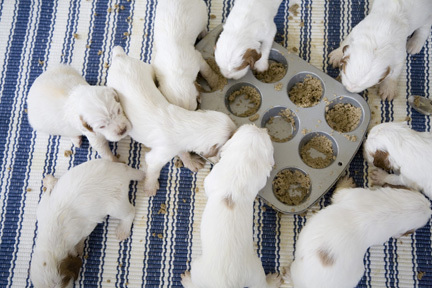 We can also think of numerous uses for small indoor/outdoor rugs, from shoe mats, to play mats for kids, cargo-area covers in the car, and even crate liners or food bowl mats for pets. 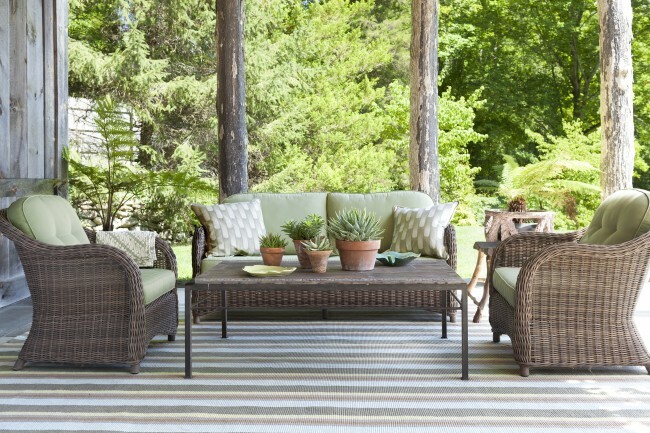 There are three types of woven indoor/outdoor rugs: flat weave, diamond, and dhurrie. While all three types perform equally well in all of the spaces mentioned above, the different weaves and patterns can help you decide which is the perfect fit for your room. 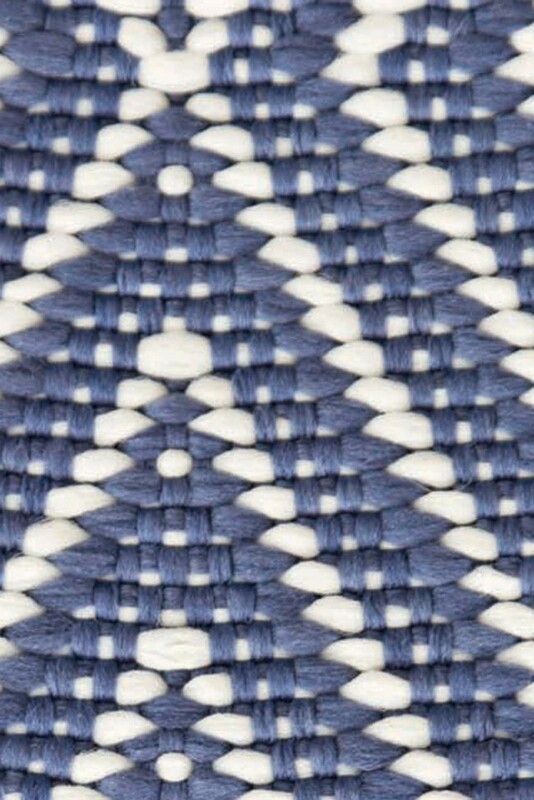 Classic flat weave indoor/outdoor rugs are hand-woven, with extruded poly yarns making up the warp and weft. 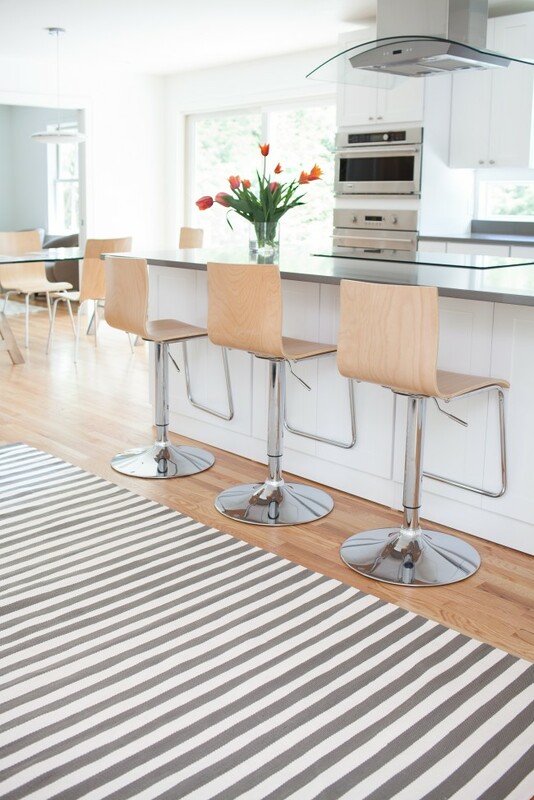 The technique results in an array of patterns and happy stripes that make fun additions to frequent-cleanup areas like playrooms and crafting spaces. 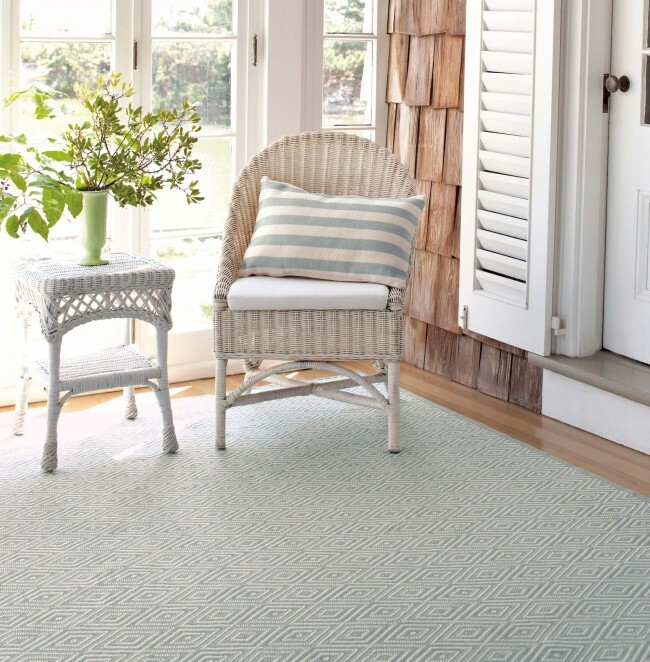 Diamond woven indoor/outdoor rugs are very similar to their flat-weave companions, except that they’re hand-woven on a jacquard loom, with the weft skipping specific warps to create their distinct diamond pattern. The eye-catching geometric is a star performer in areas where you want visual interest but still need durability, such as the entryway, the hallway, or the man cave. Bonus: geometric patterns can help camouflage everyday dirt, so if you haven’t quite gotten around to vacuuming, they’ll still look handsome for a few more days. 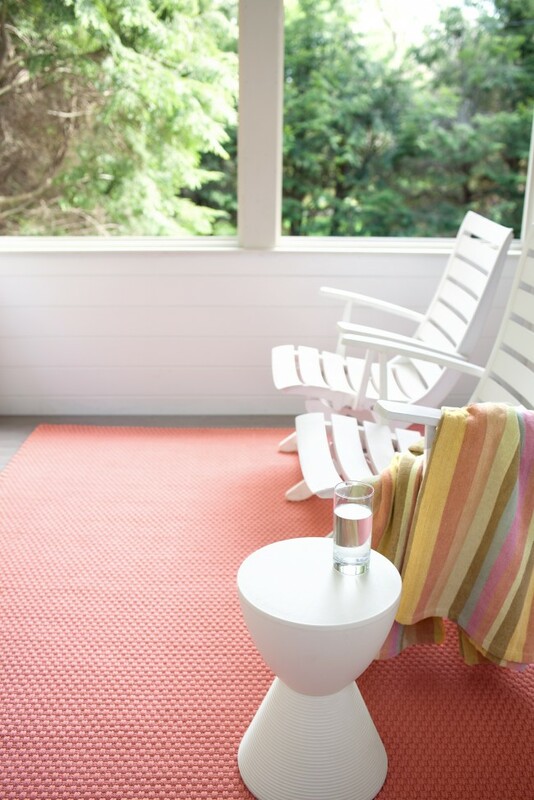 With a tighter, smaller weave, dhurrie woven indoor/outdoor rugs have the lowest profile of all the woven indoor/outdoors. 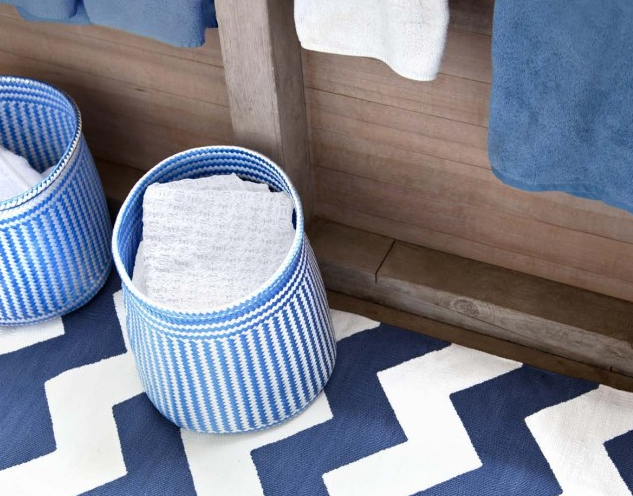 In a variety of preppy stripes and chevron patterns, their ultralight weight make them ideal for spaces where you may want a durable floor covering with minimal height, such as the basement or the stairs. 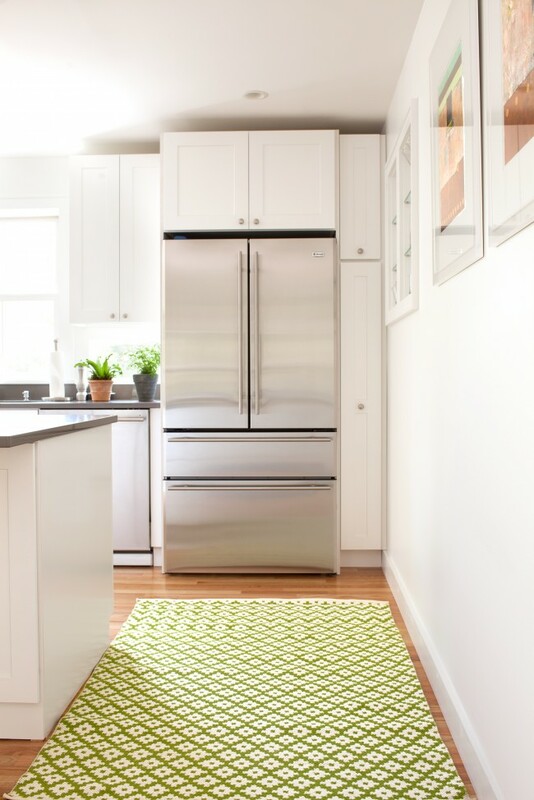 Polypropylene rugs can take whatever you dish out, so cleaning is a breeze. They’re reversible, so a regular shake and flip plus vacuuming will keep them looking like new. For bigger messes like mud, wine, spaghetti sauce, or whatever your dog has all over his paws (do you really want to know? ), take your indoor/outdoor rug outside and scrub it down with some mild detergent and a soft-bristle brush, hose it off, and let it air dry. 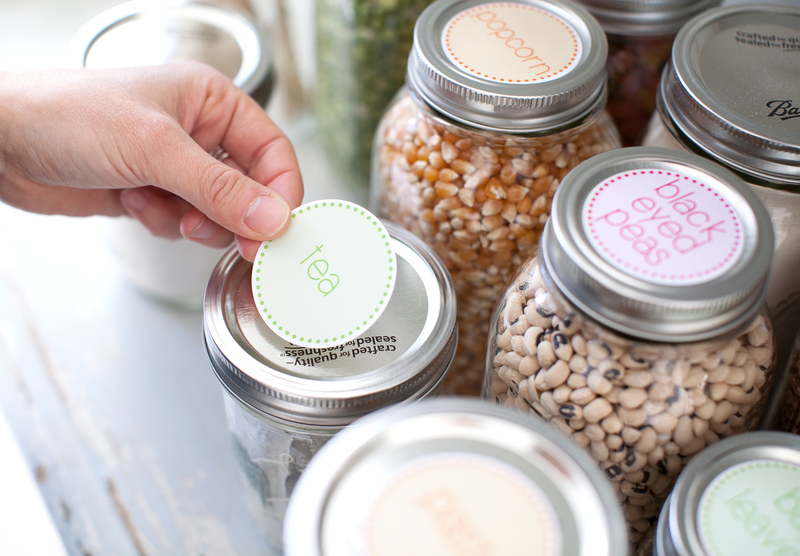 If you don’t have an outdoor space to use, cleanup in the shower or tub is super easy. The thickest of the indoor/outdoor weaves, woven rope indoor/outdoor rugs are the superheroes of high-traffic areas, fighting mud, food, and crimes of spillage at every corner. Poly yarns are knit into sturdy rope that is then hand constructed into a high-profile rug that’s lightweight and flexible, so rolling it up and transporting it is no problem. 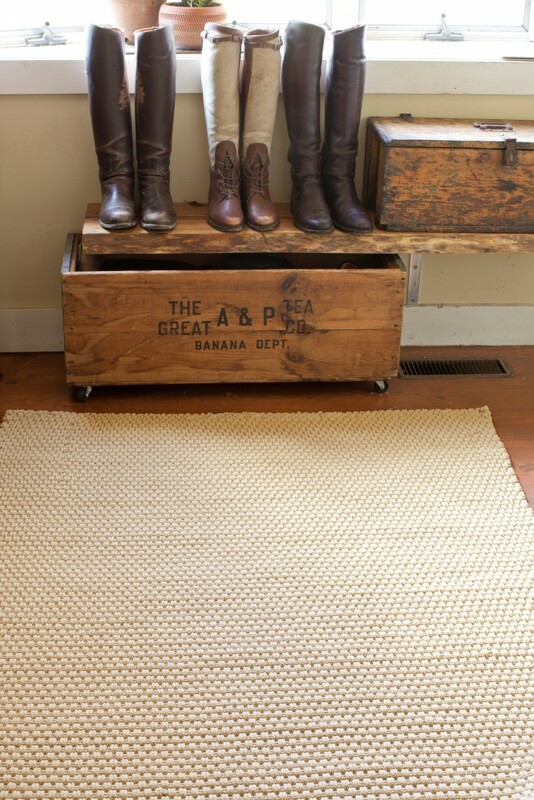 Their sturdiness and braided texture make rope indoor/outdoor rugs ideal for entryways or mudrooms. Or place one outside your front door as a welcoming doormat. 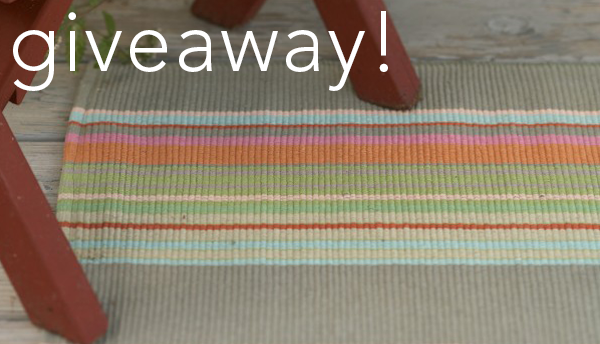 Colorful rope rugs can also brighten up outdoor spaces, such as the patio, deck, porch, gazebo, garage, and even the boat, without having to worry about weather or sun damage. 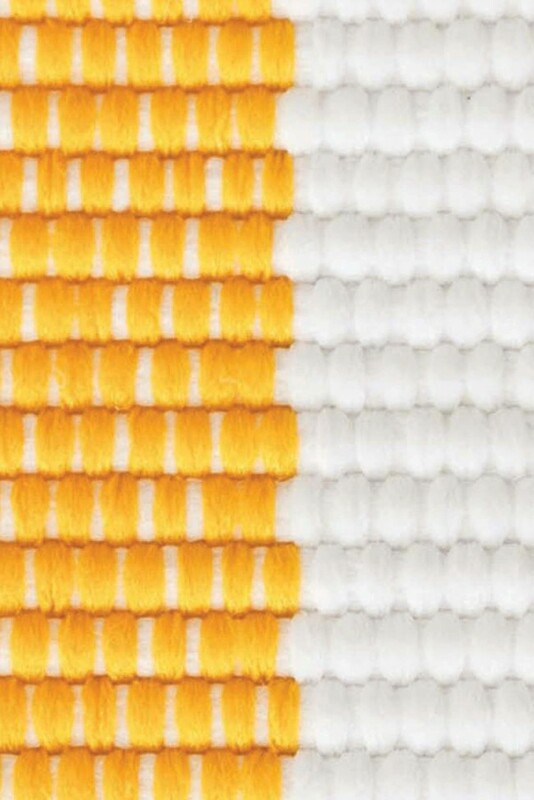 Woven rope indoor/outdoor rugs are scrubbable, bleachable, and hoseable. 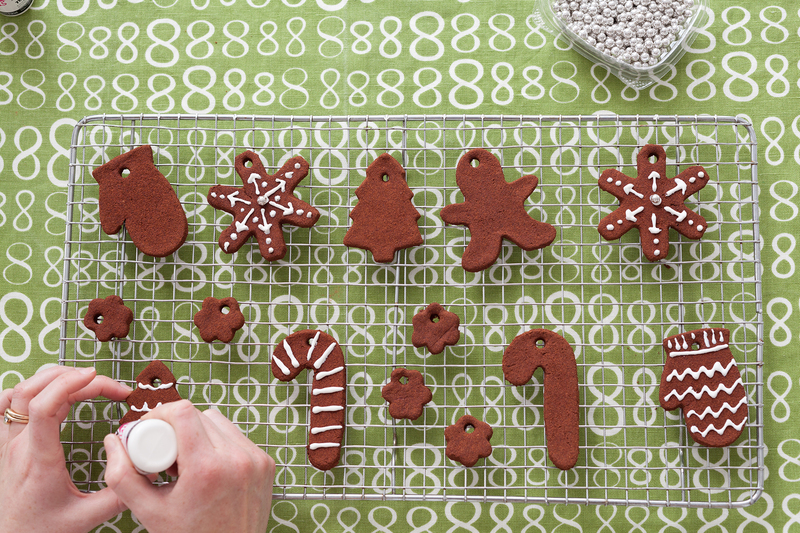 Brush them with fresh or soapy water—or use bleach for stubborn stains—then rinse with a hose and hang to dry. Rope rugs may need an extragood shake to loosen dirt and debris from between the tightly woven ropes, and vacuuming will help with this, as well. 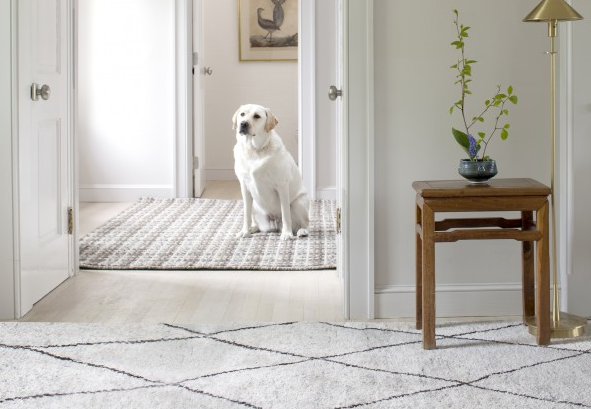 With their soft, pliable texture that is often mistaken for wool, PET indoor/outdoor rugs are just right for high-traffic areas that require a more sophisticated look. 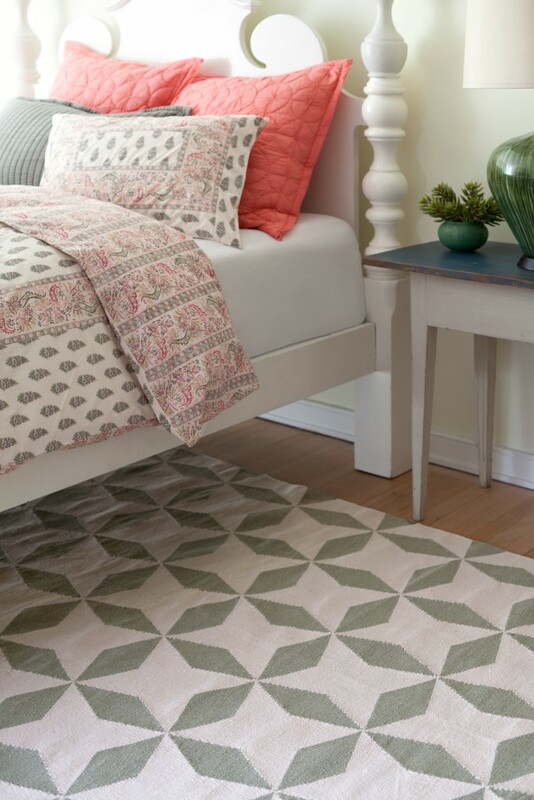 Made of recycled polyester, these area rugs are durable, washable, eco-friendly décor pieces that come in a variety of beautiful patterns and versatile hues. They’re lovely additions to the porch or patio (no need to worry about the sun, they’re UV-treated for fade resistance! ), but also blend right in to more formal spaces like the living room, dining room, or bedroom. Just like polypropylene rugs, PET indoor/outdoor rugs can be cleaned with a quick brushing of soap and a spray from the hose. Between cleanings, shake them out and vacuum regularly to keep them in tiptop condition for years to come. Would love to have a catalog. 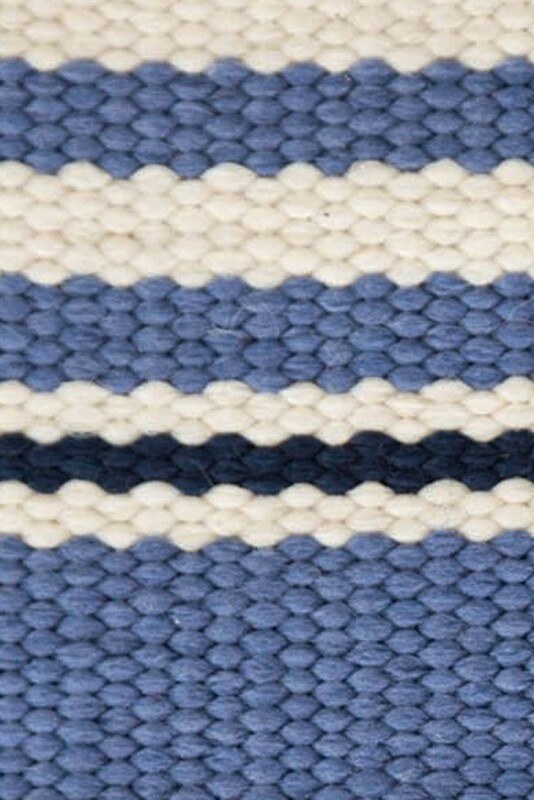 Looking for a new rug for my sunroom. Thanks for the feedback, Carrie! Check out our website, where we constantly update our new arrivals, or get in touch with our customer service team to order a catalog: info AT dashandalbert DOT com.